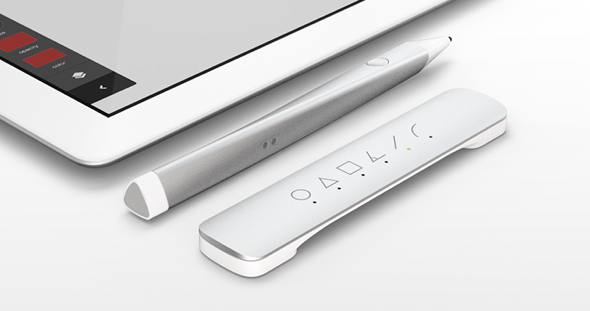 Adobe has announced two new cloud-enabled hardware offerings: the “Project Mighty” stylus and the “Napoleon” guide and ruler. MacDailyNews Note: Those interested can sign up to be notified and learn more about Adobe’s explorations in “cloud-enabled hardware” here. I wonder if WACOM still sees the Adobe cloud as a “positive ” move? The pen comes with a desire to invade Russia. The pen is destined to die in Saint Helena. That stylus looks bloody aweful. Who designed that thing? Google? So like with the Google Chromebook, what happens with these products when you don’t have an internet connection? Offline usability is the one feature cloud computing needs to add. I believe it only logs in once a month to verify your software license but you still have the software on your computer. The concept is neat, but the image suggests that these products are closer to vapourware than they are fully functioning products. Which is a shame, because there is so much potential for a series of tools which would allow us to use our iPads to sketch they way we are meant to sketch. But it doesn’t look like that these will come out as well-thought-out products. I think that Apple will have to show Adobe how to build a real stylus that works with an iPad. And then it will be obvious to everyone. At least I hope. The demo was very cool… and made a lot if sense. Say what you want about Adobe – they are the ONLY game in town for professionals. Save for the Apple Pro apps..
“The pen is mightier than the sword” – Edward Bulwer-Lytton. Hence, “Project Mighty”. And, obviously, Napoleon = ruler of France. Might need a bigger iPad. 11.6 inch iPad Plus, anyone? Need a stylus that works as beautifully as my 15-cent Bic biro fine point. Just poneyed up big bucks for a Pogo Stylus, which is ‘sorta’ OK, but still a bit like using a hammer.